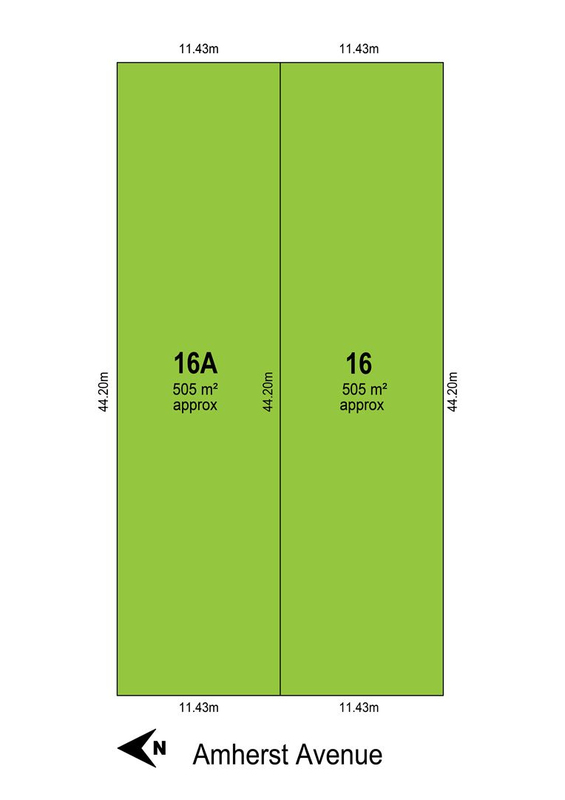 505sqm or 1010sqm of rare Torrens Titled Eastern suburb land. This one is all about location, location, location. Build your own home or buy both and build on two to maximise your investment. All the hard work is done. The land has been levelled and subdivision approved. With a short stroll of 1.1km to Norwood Parade or enjoy Magill road coffee and homewares shops. Burnside Shopping Centre is a short drive whilst Trinity Gardens School is only a 6 min walk away and is close to Pembroke, Loreto and St Ignatius Colleges. Trinity Gardens is still increasing in value with a 4.8% approx annual growth due to its liveability and close proximity to eastern suburb amenities as well as Adelaide CBD. Each block is approx. 11.43m x 44.20m, which means your build will be detached and able to have a double garage stcc if so desired. This is an opportunity not to be missed. They won't last long.